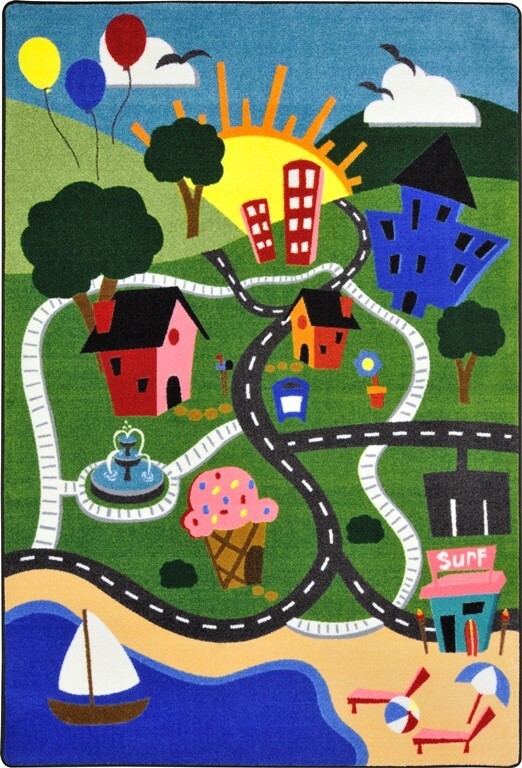 Buy Joy Carpet Kid Essentials Early Childhood Happy Town Multi Rugs Online In USA. Description : Follow the dancing balloons into the center of Happy Townﾙ where children can use their imagination for hours of creative play. 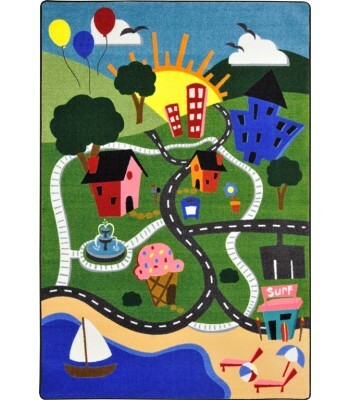 This cheerful rug is certain to be a favorite in your early childhood activity area.